Our panel of experts discussed whether the Criminal Bar and solicitors' firms as we know them have any place in the aftermath of the sweeping reforms and cost-cutting measures deployed by successive governments of England & Wales. Students and current practitioners attended and listened live online with Twitter being the platform for discussion. Many thanks go to those in attendance and to MMU for kindly hosting this event free of charge. Thanks also go to Central Chambers, Manchester for assisting in this event and for assisting with CPD accreditation for those in attendance. The show is found here. 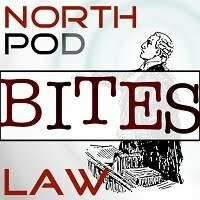 This week's episode includes an interview from Chairman of the Bar Council, Maura McGowan - see what she says about persuasive arguments. Glad you enjoyed the show.